A brand-new version of Opera Next was released last Friday. Opera Next is an experimental version of Opera that gives you a sneak preview of what's to come. Let's take a look at some of the new features and improvements in Opera Next 16. If you write opera:flags in the the address bar you get a list of experimental features that you may enable or disable. As the title of the page says, "Careful, these experiments may bite." 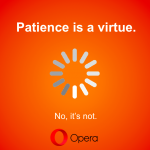 Due to the probability of crashes and bugs, Opera Next is only for advanced users who like to tinker with the latest technology. The Geolocation API lets you share your location with trusted websites. This enables websites to do cool things like finding local restaurants or your location on a map. This handy feature can fill online forms with a click of a button. Simply fill out the forms in your "Privacy & Security" settings, and let Autofill boost your productivity like never before. Presentation mode is now available also on Mac. This means that the top-bar will not be visible when you enter presentation mode. For more information, you can read the full change log. Keep in mind, Opera Next doesn't overwrite the stable release. Both browsers can co-exist and can be used simultaneously. 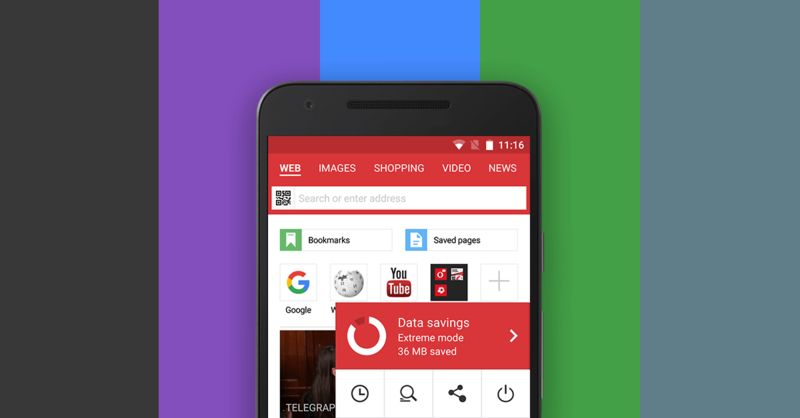 Opera Next 16 will also automatically update itself so you'll always have the latest build.